Criminal Minds is a police procedural crime drama series created by Jeff Davis and is the original show in the Criminal Minds franchise. It premiered in September 2005 on CBS. It's set primarily at the FBI's Behavioral Analysis Unit (BAU) in Quantico, Virginia, and differs from many procedurals by focusing on profiling the criminal — the "unsub" or "unknown subject" — instead of the crime itself. The show has an ensemble cast that has had many changes over the years. As of this writing, Matthew Gray Gubler, A.J. 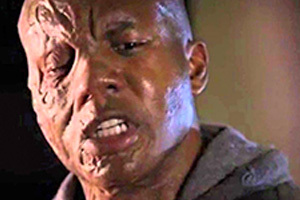 Cook, Kirsten Vangsness, and Shemar Moore are the only actors to have appeared in every season. 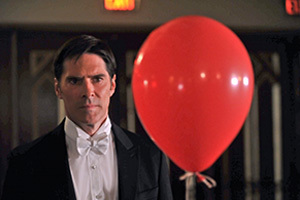 Thomas Gibson appeared in every season through Season 12. The series depicts a group of FBI profilers who systematically pursue criminals utilizing behavioral profiling. The plot focuses on the team working cases and on the personal lives of the characters, showing the hardened lives of the profilers. 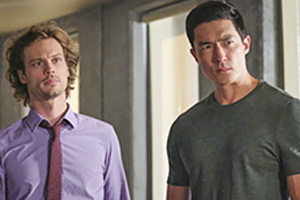 Criminal Minds has spawned several spin-offs: Criminal Minds: Suspect Behavior in 2011, Criminal Minds: Beyond Borders in 2016, and a South Korean adaptation in 2017. 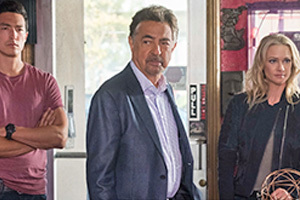 In April 2017 CBS renewed the series for a thirteenth season. 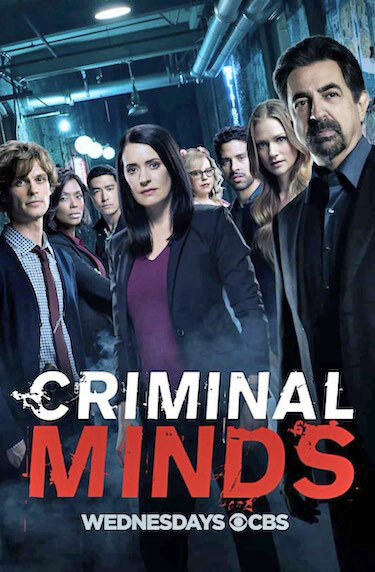 When the series premiered in September 2005, it featured FBI agents Jason Gideon, Aaron Hotchner, Elle Greenaway, Derek Morgan, Spencer Reid, Jennifer "JJ" Jareau, and Penelope Garcia. 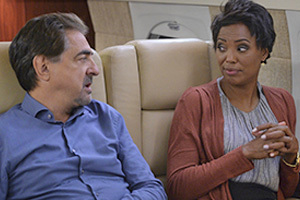 In season 1, Garcia was not a main cast member but instead had a recurring role, although she appeared in most episodes. 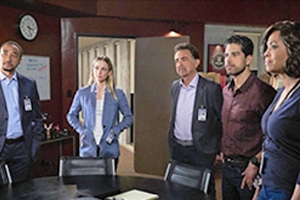 At the start of season 2, Lola Glaudini announced her departure from the show and was replaced by Paget Brewster. At the start of season 3, Mandy Patinkin announced his departure from the show because he said he was deeply disturbed by its content. He wrote letters of apology to his fellow cast members, explaining his thinking and wishing them luck. 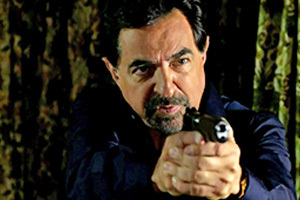 Joe Mantegna replaced him as David Rossi, a best-selling author and FBI agent who comes out of retirement. During season three, A. J. Cook became pregnant with her first child. Her pregnancy was written into the show. Cook's son has been written into a recurring role as Jennifer's son Henry. Later that season, Emily was seemingly killed off. Although she did survive, she did not appear for the remainder of the season. 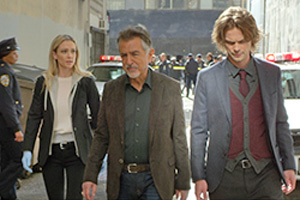 Cook and Brewster were both replaced by Rachel Nichols as Ashley Seaver, an FBI cadet. CBS's decision to release Cook and Brewster from their contracts angered many fans, who wrote letters of protest and signed petitions. 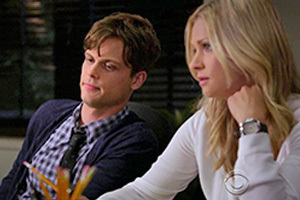 CBS rehired Cook and Brewster as Jennifer Jareau and Emily Prentiss, and Nichols was released. In February 2012 Brewster announced her departure from the show after seven seasons. 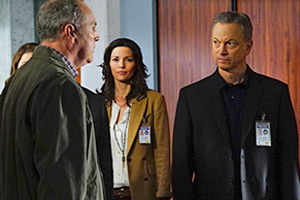 She was replaced in by Jeanne Tripplehorn, who played Alex Blake, a linguistics expert. 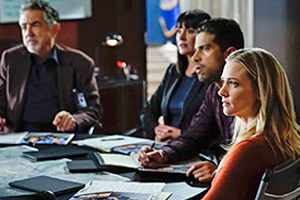 In season nine, Paget Brewster made a guest appearance in the 200th episode. 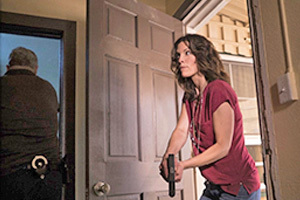 After two seasons, Tripplehorn left the show and Jennifer Love Hewitt joined the cast as Kate Callahan, a former undercover FBI agent who joins the BAU. 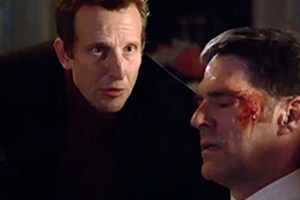 During season 10 Jason Gideon was killed off-screen. At the end of season 10, Hewitt and Cook announced that they'd both be on hiatus because of pregnancies. 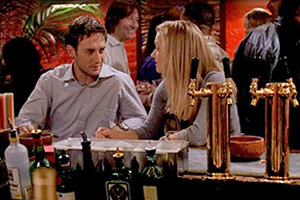 Hewitt didn't return for season 11, while Cook returned after the first seven episodes. 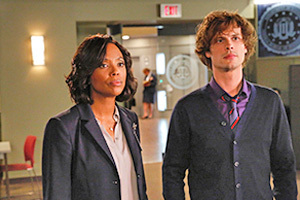 Aisha Tyler (as Dr. Tara Lewis) joined the show at the start of season 11. Later that season Shemar Moore, who plays Derek Morgan, left the show, marking the end of an 11 season run. He thought about leaving the year before when his contract was up but was persuaded to stay to give his character a proper sendoff. 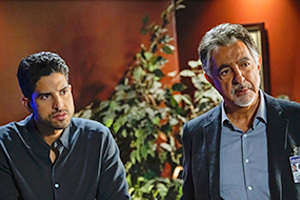 He was replaced in season 12 by former CSI: Miami star Adam Rodriguez, who plays Luke Alvez, a Fugitive Task Force Agent. 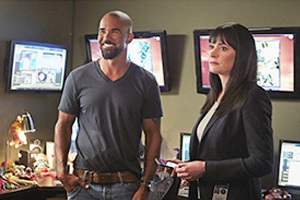 A week after Moore left, Paget Brewster made her second special guest appearance since leaving in season 7. In season 12 she once again became a series regular. 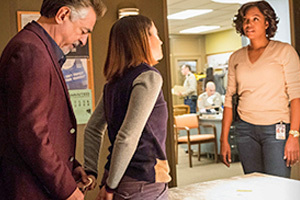 Aisha Tyler was promoted to series regular for the 12th season. 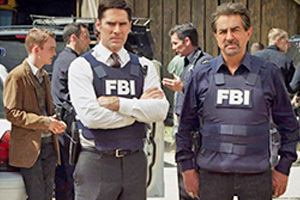 Soon thereafter Thomas Gibson, (Aaron Hotchner) was suspended from and written off the show for two episodes because of an on-set altercation with one of the producers. 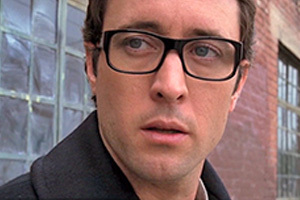 His character was replaced by Damon Gupton, who played Special Agent Stephen Walker, a seasoned profiler from the Behavioral Analysis Program (the counterintelligence division of the FBI). But in June 2017 he was fired from the show after one season as "part of a creative change on the show" according to CBS. 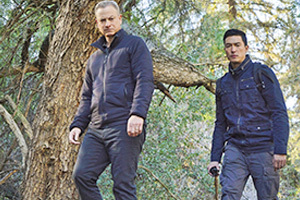 CBS then announced that Daniel Henney, a regular on Criminal Minds: Beyond Borders as Matt Simmons, would join the main show as a regular for season 13.